Lake Britton, CA, circa 1988. 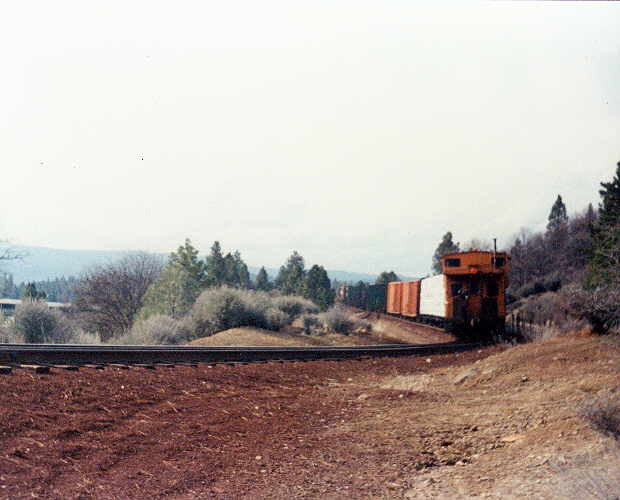 The Sierra Job is seen here heading towards McCloud. The consist today is four loads from Sierra Pacific and six empty woodchip hoppers. 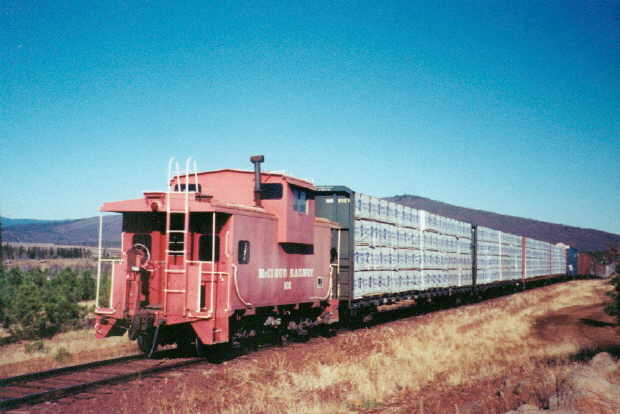 The railroad at the time was hauling sporadic shipments of hog fuel (woodchips) into Burney for one of the area co-generation plants. Near Cayton, CA, 5/2003. Twenty-four empty cars are stretched out behind the power this day. The empties are two covered hoppers for Dicalite at Cayton and 16 empty centerbeams and 8 empty woodchip hoppers for Sierra Pacific. Goose Valley, CA, 11/2002. 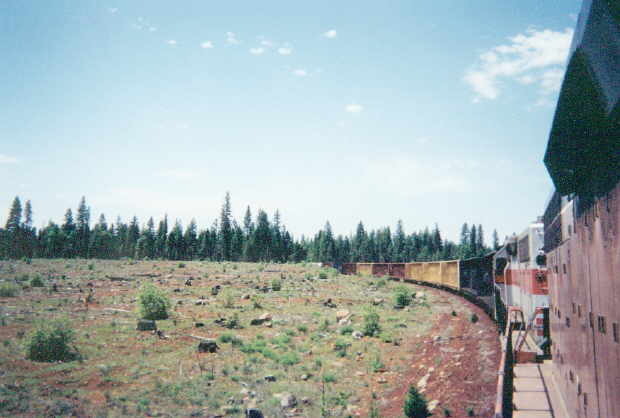 Caboose #102 is seen trailing two locomotives and 18 loads from Sierra Pacific en route back to McCloud. Lake Britton, CA, 11/2002. 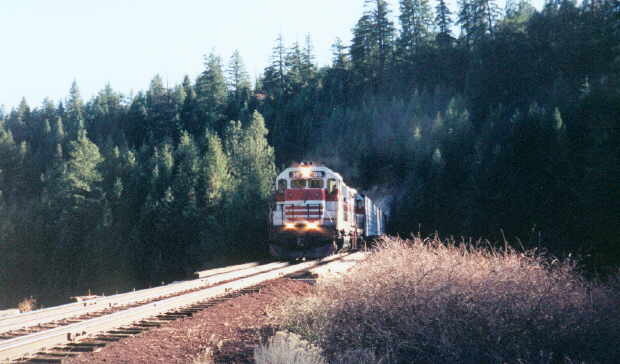 Locomotives 36 and 37 pull a McCloud-bound Sierra Job across the Lake Britton bridge. Lake Britton, CA, 11/2002. 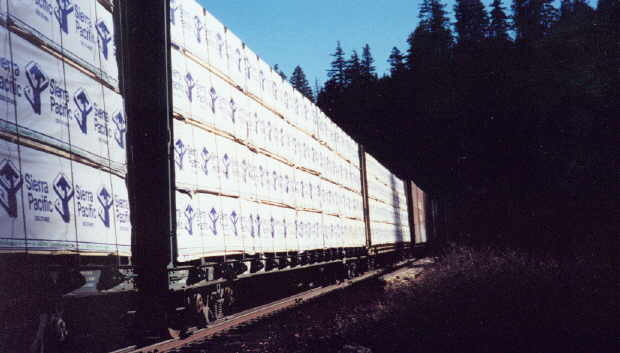 Loads of lumber and woodchips from the Sierra Pacific mill cross Lake Britton.